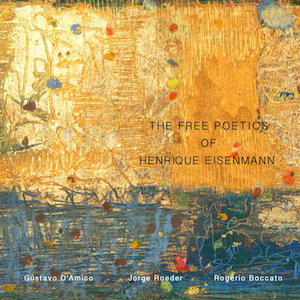 There is one way – and one way alone – to interpret the references to ‘free’ and ‘poetics’ in the title of the recording by Henrique Eisenmann: The Free Poetics of Henrique Eisenmann which is that all caution and restraint with regard to ‘creativity’ and ‘productivity’ has been completely jettisoned; summarily dismissed as Mr Eisenmann has transfused his whole self into the realm of sound, there to facilitate the unrestrained expression of its poetry; to let the black dots of music leap off the page and fly in order ‘to make’ (ποιεῖν poiein) everything that is played on the instruments here or uttered, or sung on the recorded tracks ‘pertain to poetry’ (ποιητικός poietikos. In other words return music to its quintessential Aristotelian paradigm of its ‘poetics’. 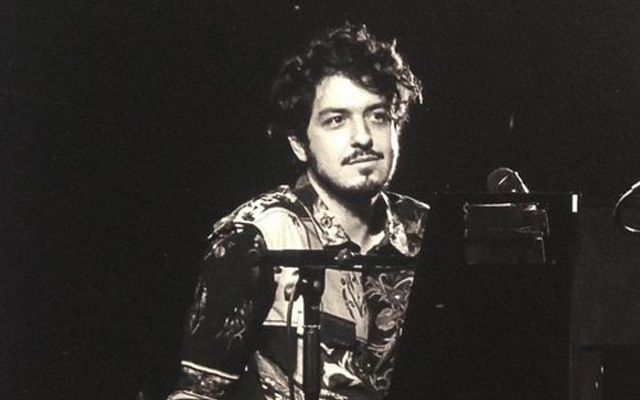 Henrique Eisenmann may not invent a new idiom like Bird or Thelonious Monk has done in Jazz, or even – closer to home – as Hermeto Pascoal. But in literally everything he does he leaves the listener breathless, for scarcely has one thought through one Henrique Eisenmann idea, than another comes into being, unfolding musically more beautiful than the first. And this goes on and on through this performance from the album’s “Introduction: Niños Peruanos” through to “Epilogue: Pifanos”. The profusion of ideas and the manner in which they translate to music breaks through the most lyrical artifice of contemporary Brasilian music, and each seduces by its brilliant melodic facility but which also frequently reaches the very depths of human emotion. Every one of these songs on The Poetics of Henrique Eisenmann has a directness of utterance that is highly appealing. And several of them attain a profundity that recalls the magic of the very best classic and improvised music from anywhere in the world. Mr Eisenmann’s dedication to poetry and music is immense and his songs draw on both artistic disciplines as he worships at the altar of originality. The music is borne on the wings of lyricism, but idioms might tinkle and glide with concrete imagery that springs with uncommon virtuosity. Appropriately this is best described in “Sarabande No.2”, a song that leaps from age to age with spry athleticism. A great admirer of Hermeto Pascoal, Mr Eisenmann pays the master – O Bruxo – homage in the secrecy of his music as well as in the unabashedly extrovert “Zurich”, a classic version of lesser known gem. Elsewhere, Henrique Eisenmann makes doffing of the proverbial hat to the great music of his home, Brasil, adorning the music of “Anthropophagy” with metaphorical carnivorous delight as his ideas traverse a breathtaking sweep of influences from the musical topography of the world. On this and the eight other charts Mr Eisenmann is joined by Gustavo D’Amico on saxophone, Jorge Roeder on contrabass and the percussion colourist Rogério Boccato, all of whose fingers and hands – and in the case of Mr D’Amico, lips as well – magically transform the pianist’s ideas into pieces of crystalline albeit musical art. Clearly this is an album to die for especially to fans of Brasilian music.